We’re almost halfway through our 6 months at Bushwise now before some of us go on placement. When I look back to our first semester here, I can see how all of us have grown. Our breadth of knowledge is almost incomparable now thanks to our incredible trainers working hard to teach us to be the best we can be. We have also grown in terms of professionalism and I feel that we are now starting to act more like guides than students, especially now that our assessments are right around the corner. I have absolutely no doubt that we would not be where we are now without the help and dedication of our trainers, managers, and everyone else here for us at Bushwise and I will always be grateful for their extra help getting us international students all of the documentation required to work here as a guide. This week we have been practicing our full drives and working out which routes around the reserve we want to take for our assessment drives. We need to ensure that our routes will be long enough to cover aspects of everything we have learnt at Bushwise, but short enough to stay within our three-hour time limit. Most of us have a rough idea of the routes we want to take but there’s so much to talk about that three hours never seems enough! It’s such a great feeling to have too much to say, it demonstrates our knowledge and how we now feel comfortable being able to talk to ‘guests’ (our fellow students). We’re now not afraid to identify trees or birds that we don’t know about and are learning new facts every drive from each student, even about things we talk about every day, which is a great feeling. Stian on his drive watching a hippo mother and her calf in the dam before giving us some interesting facts about them. 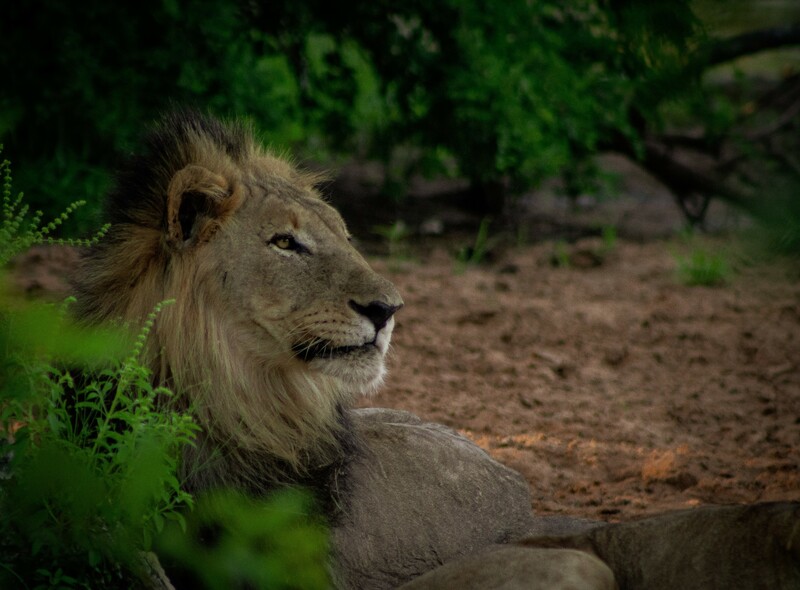 We have been really lucky with our sightings this week, especially with lions. On one drive, both groups had lion sightings at two nearby dams at different times. One group had a juvenile male and the other had two mature males, one of which had some impressive battle scars. 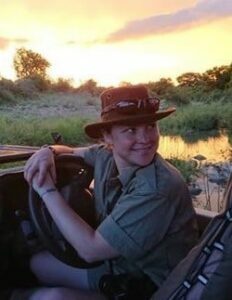 It was a great opportunity to learn from our trainers as they coordinated the other guides who wanted to respond to the sighting, as we will have to manage sightings ourselves soon. It is important to manage a sighting as too many vehicles often affect the animal’s natural behaviour and can cause stress. 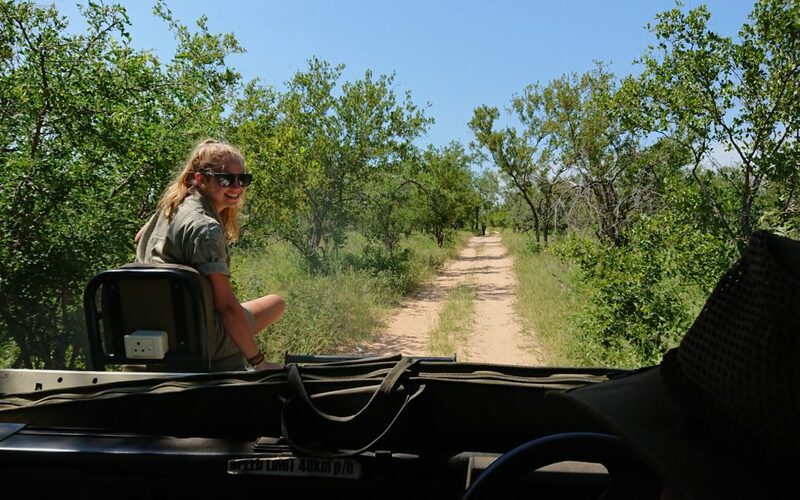 It also makes it difficult for guests to see the animal due to crowding and causes damage to the surrounding environment when vehicles drive off-road to get a better position. 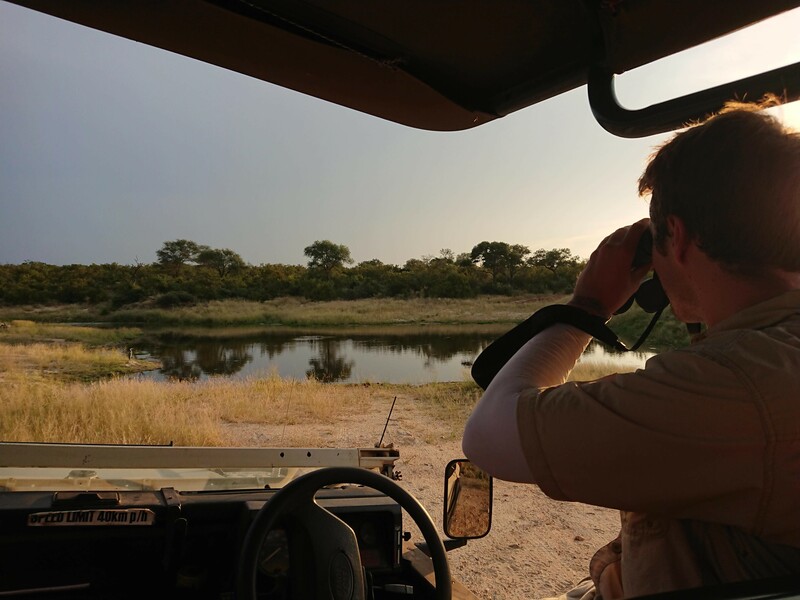 For this reason, Bushwise emphasises ethical guiding and restricting a sighting to a suitable number of vehicles depending on the situation. This is something we as students have not yet had to do so watching our trainers organise an influx of vehicles was really beneficial. And of course, seeing the lions relax by the water is a beautiful sight! A beautiful adult male lion by a dam. It’s easy to see why they’re called the “King of the jungle”. Alongside seeing exciting animals like lions, we are always reminded to appreciate the small things in life. During one drink stop (or “phuza”) we witnessed a dung beetle gathering impala dung and placing it in a hole it had dug. This is behaviour that we have not seen before as they are usually found using dung from larger animals such as elephants. We were all transfixed watching the dung beetle, and to an outsider I’m sure we looked absolutely mad! However, these little guys are not to be overlooked as they play an important role in the ecosystem by recycling nutrients back to the soil, facilitating the growth of seeds that are within the dung. They also destroy the eggs of internal parasites and reduce the population of pest species such as flies, therefore reducing the spread of diseases through flies and parasites such as worms. 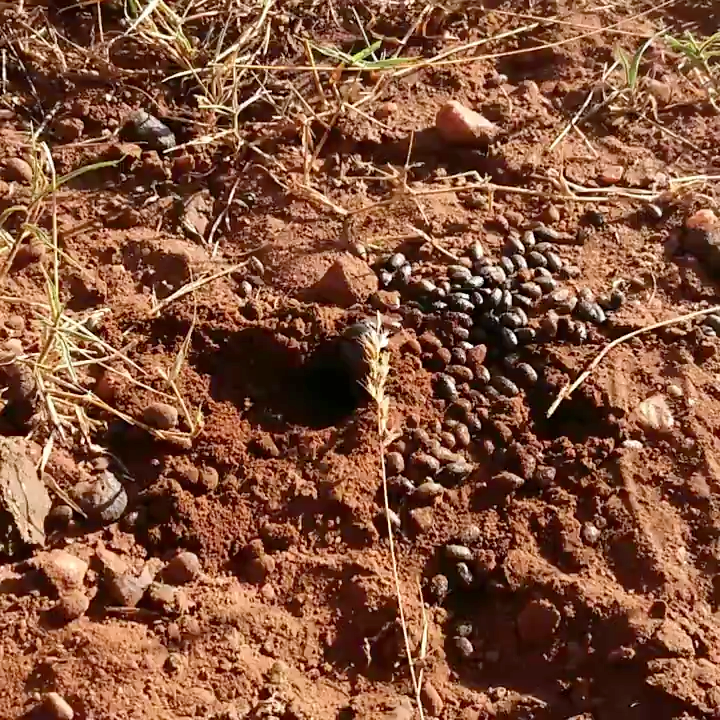 Watch how the dungbeetle uses its back legs to quickly stockpile impala dung in its hole – amazing! As we come to the end of another amazing week, we all have our heads down and are hard at work studying our lectures and everything we have learnt this past week (which is more than you think!). Despite our hard work we still find time to go out to eat and shop in Hoedspruit before relaxing. We also love to cool off in the pool on hot days – if you ever need to find me, I’ll often be there! 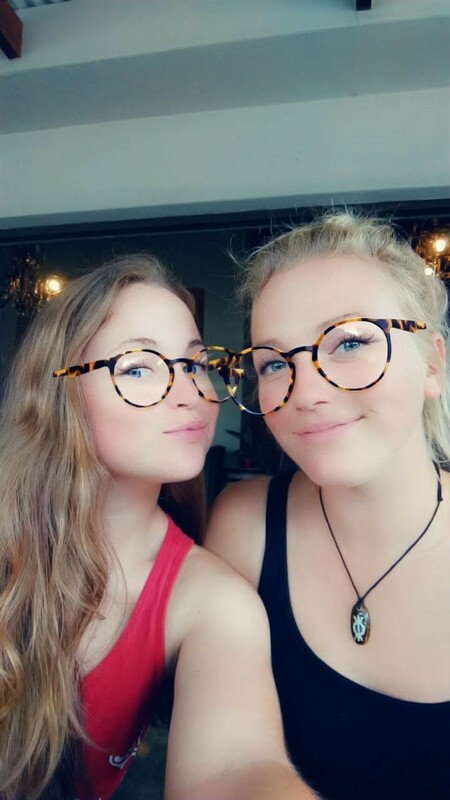 We always find time to have a laugh and relax in-between working and studying. Next week we are focusing on astronomy and I think I can speak for everyone when I say we’re excited for our next sleep out where we can admire the stars all night. Wish us luck for some more amazing sightings while we’re out there!